Use the Visit Report App to register all information you need about your customer. Import customer information and products and send it to the office, CRM, planning or ERP. 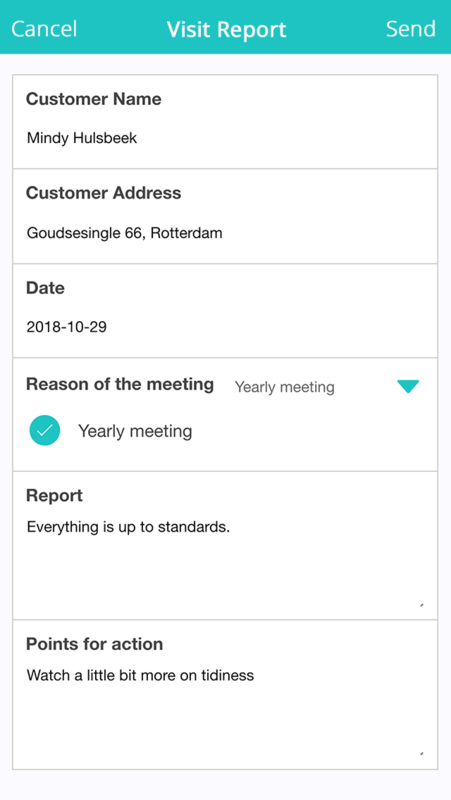 The Visit Report App gives you the opportunity to capture customer information and add all the discussed points. Track your customers needs, fulfil your customer’s needs and create a great relationship! Using the app makes sure you will not forget any request after a visit, complete necessary actions faster and save many hours on recollecting data! Capture visit reports and orders on the road. Import customers and products into the form. Add photos and a signature. Email the PDF or Word report to colleagues. Integrate with CRM, planning, or EPR.